KAMPALA – Opposition FDC stalwart Proscovia Salaamu Musumba has hit out at Bank of Uganda deputy Governor Dr Louis Kasekende for forgetting his Catholic values and allowing himself to get caught up in the mess as the Bank of Uganda gets under scrutiny in the aftermath of the closure of seven commercial banks and now an inquiry by Parliament. this is really too scandalous that a central bank that is managed by the more celebrated economists have turned the whole thing into ruin and have left us no excuse whatsoever to defend them. They look like robbers moving assets. Governor Mutebile should have given us the best he has. Kasekende, a celebrated Catholic to be undressed like this is sacrilegious,” Musumba said when she appeared a panellist on the popular talk-show. MPs on the Parliamentary committee on Commissions, Statutory Authorities and State Enterprises are investigating irregularities in the closure of seven commercial banks, with several bank officials facing the spotlight. 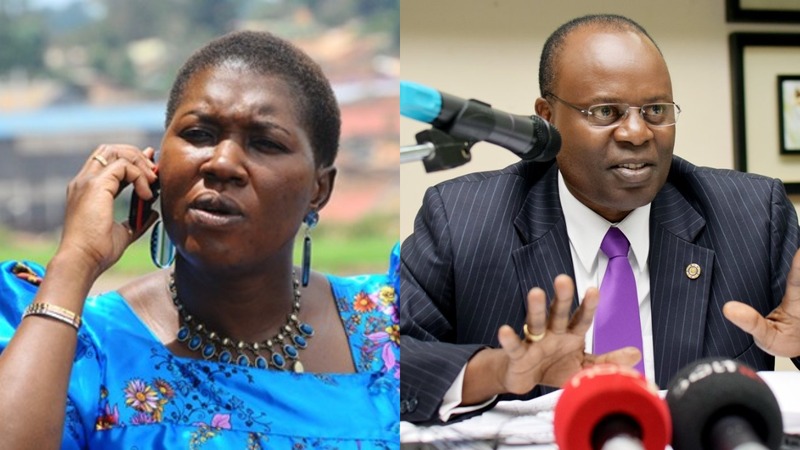 The eight top Bank of Uganda (BoU) officials including Dr Kasekende face the spotlight as the parliamentary inquiry into the sale of seven banks including the Shs 200 billion giveaway of Crane Bank to dfcu Bank enters week three. The inquiry resumes next week.